Valiant’s summer event, Book Of Death, debuts today, and the title suggests that it’s not going to be the most cheerful season for Valiant’s heroes. The next few months will feature tie-in one-shots detailing the final moments of the publisher’s central characters, offering flash forwards into the future of the Valiant Universe that will plant seeds for future stories. Valiant has teased the return of Harbinger, its superhero team title featuring teenagers with extraordinary abilities, and September’s Book Of Death: The Fall Of Harbinger could feature some of the first clues regarding how Peter Stanchek and his friends make their way back into the spotlight. 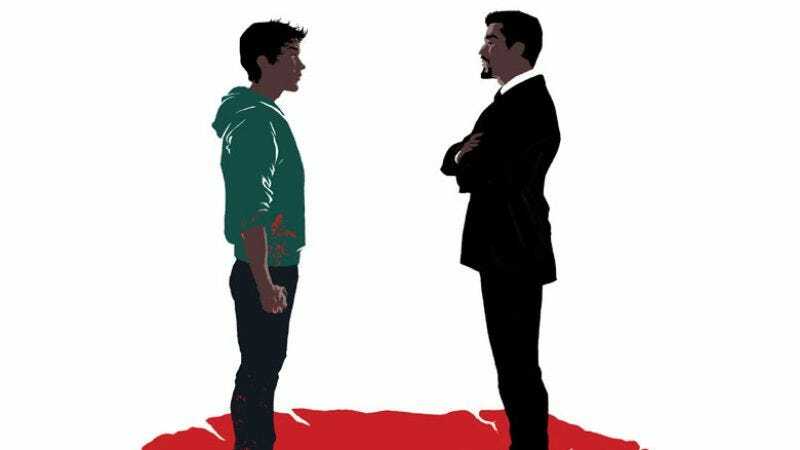 Written by Joshua Dysart, writer of the previous Harbinger volume and its descendant Imperium, Book Of Death: The Fall Of Harbinger looks to deliver more of the socially conscious superhero sci-fi that has made Dysart’s tenure at Valiant so intriguing. Dysart’s storytelling is very ambitious and has brought a lot of depth to the still-young new Valiant Universe, and this preview shows what the world would look like if Dysart’s vision guided Valiant into its far future. The book looks beautiful thanks to Kano’s visuals, and the artist continues to grow dramatically with each new Valiant project. His layouts have become more inventive, his linework is more expressive and detailed, and he’s proven himself to be an equally outstanding colorist as well. Valiant’s heroes may be dying off in droves this summer, but if the publisher continues to hire creative teams of this caliber, its universe can potentially live for a long, long time.